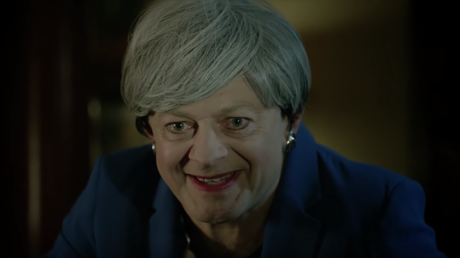 The roughly three-minute parody imbues May with all the sinister gurgling and spittle of the fantasy character who symbolized the corrupting power of power itself (though it is not yet known if Theresa May is in possession of a magical ring which can make the Irish backstop issue disappear). “Our agreement. This is it. Our deal! Yes. We takes back control – money, borders, laws… blue passportses,” rejoices ‘Gollum-May,’ irrespective of the widespread unpopularity of the deal across both sides of the aisle. The video was produced by a grassroots campaign called The People’s Vote which is advocating for a second referendum on Britain’s withdrawal from the EU. The British Parliament will vote on Tuesday to decide the fate of the current proposed deal and speculation is rife that potential political rivals within the Tory party are preparing for the possibility that May could stand down if she suffers a heavy defeat on Tuesday. Hardline Brexiteers held a march in opposition to the current iteration of the divorce deal with the EU, which must be finalized by March, in east London on Sunday.